Top 10 Best Places For Solo Trip (Travel Alone) in India - Did u Know? There are a few things that you need to do just once in the lifetime and solo traveling is one of them. No need to over thinks if planning for the solo trip, solo traveling is now gaining so much popularity. You feel a sense of independence and freedom when you travel alone. Solo traveling in India will be no less than an adventure; you can discover yourself along with spiritual rejuvenation. India is the place of diversified nature, vibrant culture and rich heritage where every tourist loves to visit here and creates lifetime memories. 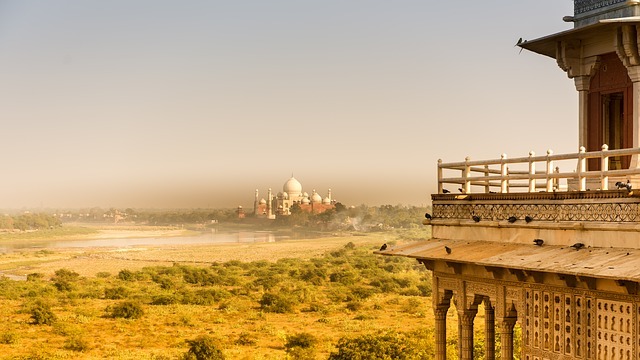 Benefits of traveling solo in India is you can enjoy bracing mountain air and undulating landscape, dunes of the desert, serene seashore, exuberant culture, fusion of dance and music, mouthful cuisine, myths behind temples and life behind forts and places which you can might miss while traveling with family and friend in the group. In traveling alone you have freedom do everything that you want to and have an opportunity to capture the beauty of every finest sight. Traveling solo is better than traveling in the group because when we travel in the group or with family it exempts us from the various obstacle and we are mostly busy in gossips but when we travel alone we discover ourselves that what we actually are. India has the best places to discover oneself while traveling alone. 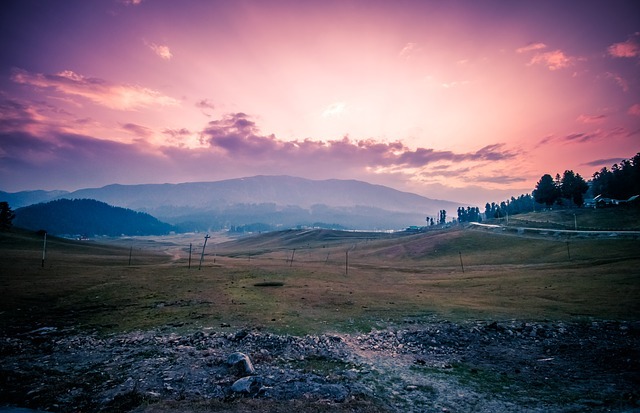 Here are some places where you must explore if you ever plan a solo trip in India. Manali is the famous hill station where tourists arrive from all over the world. It is the best place for the solo trip in India. 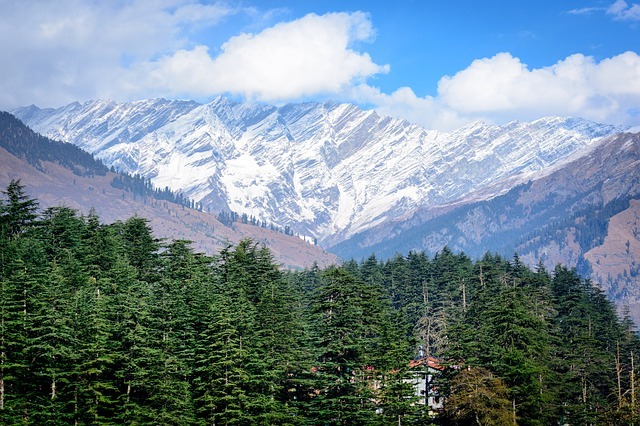 Manali is settled in a lap of the Himalayas wrapped in nature with towering peaks peeking behind lush green mountains. It is situated in the bank of Beas River in Himachal Pradesh. You can enjoy here in both seasons winters as well as in summers. In summers you can do adventures things like trekking or camping in the mountains, river rafting, and other sports and in winters you can enjoy the snowfall and play snow sports else you can explore by visiting at famous tourist sites like hot-springs, monasteries, temples, apple orchards, old town, ancient temples and other places from Hindu legends which are open throughout the year. To enjoy an adventure sport you can go to Rohtang Pass and Solang Valley. Rishikesh is one the most popular place in India where tourists visit all over the world throughout the year. 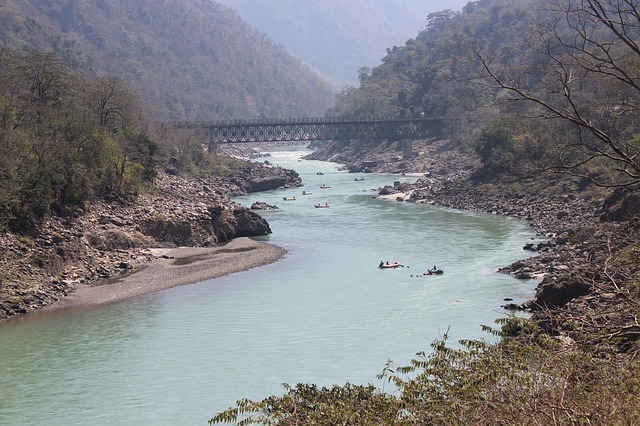 Rishikesh is a holy place located in the foothills of Garwhal Uttrakhand and is the ideal hub for adventures activity like rafting, camping, cliff diving, bungee jumping, kayaking, rappelling, and rock climbing. You can visit here at any time in the year and explore, it is also famous for yoga and meditation holiday as well as for Spa & Ayurvedic but best known for Laxman Jhula and river rafting in the Ganga. If you feel spiritual then must visit Haridwar (one of the stops of “Char Dham Yatra”) which is one hour away from Rishikesh. You can also go to Shastradhara few kilometers away from Rishikesh famous for waterfalls. If you plan a solo trip for here you will surely love this place. 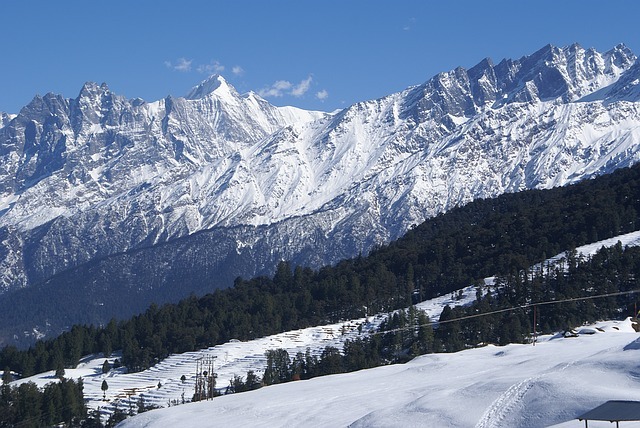 Auli is another delightful escape in the mountains. 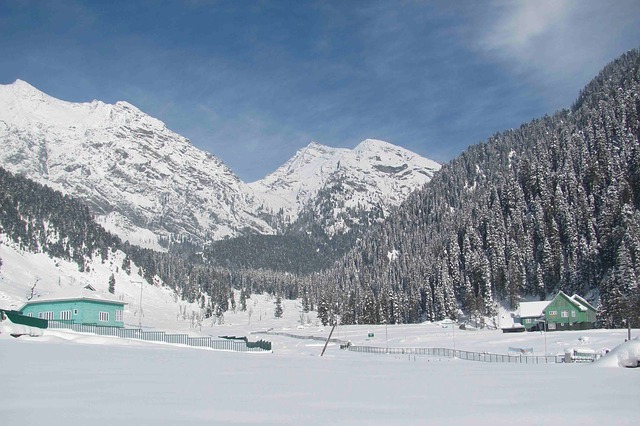 Auli is a fine decision for a first solo destination to India. The prominent skiing goal in India is situated in the Garhwal Himalayan region (Uttarakhand). The late spring season has the pleasant environment which is perfect for outdoors and trekking, while the winter season is ideal for skiing. Hill stations are the best places to do adventures things. You can enjoy here doing Trekking, skiing, and gondola ride which will add excitement to your outing. From the month of June to October is the best season to visit here. Goa is known as the land of sun and beaches. It has great and brilliant sunrise and sunset. This place is loaded up with various unexplored and private shorelines and Spa and Ayurvedic resorts where you can spend perfect reviving hours. 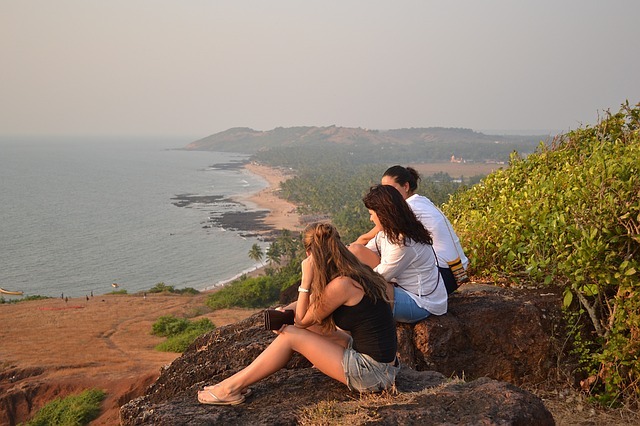 You will definitely love exploring in Goa during your solo trip to India. You can stay at a beach camp and enjoy swimming and activities like jet-ski, snorkeling, scuba diving, boat rides, etc. The best time to visit Goa is either spring or winters, you can spend here 4 to 5 days ideally. Goa is full with visitors at the time of Christmas and New Year. At the time of New Year, you can fully enjoy here boogieing sea shore, trance dance, and music, rave parties, the shower of exotic liquors, Casinos and mouthful cuisine and etc. Goa is also known for honeymoon destination but it doesn’t mean that you cannot explore it solo; the benefit of visiting alone here you can fully enjoy yourself and capture every beauty of it. TajMahal One of the wonder of the world has become the most popular International tourist place of India. You must visit this place if you ever plan the solo trip in Agra India. TajMahal is an epitome of love with mesmerizing beauty. Tourist visit Agra only to see TajMahal from all over the world throughout the year. You will love visiting this place and capture this for your lifetime memory. This place is famous for TajMahal but it also has other historical sites like Jama Masjid, Moti Masjid, Sikandra, Itmad-Ud-Daulah’s Tomb, Fatehpur Sikri, Akbar’s Tomb, Fort and etc. Nainital is famous to explore wildlife which is situated in a serene valley of Uttrakhand. Jim Corbet known as one of the famous national parks of India is situated in Nainital. While having the adventurous experience of safari you can also capture the different wildlife animals along with the beauty of Nainital. You can also visit as Nainital Lake and Nainadevi temple. 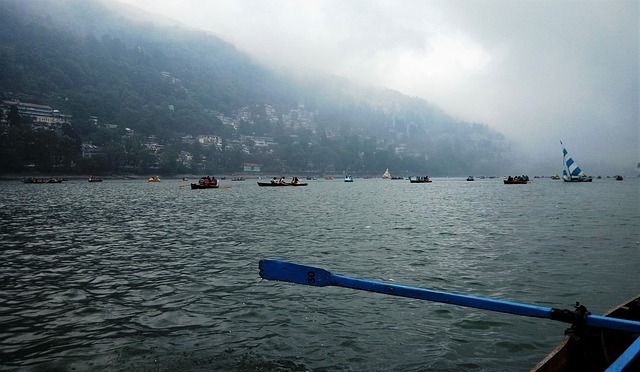 Nainital is the safest place to explore solo trip in India. If you are on solo trip tour then you must include Udaipur in your list. Udaipur is a city situated in Rajasthan which is rich in heritage and culture. 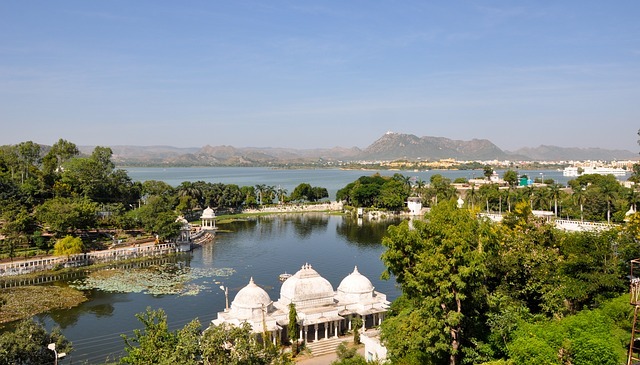 Udaipur is mainly famous for its lakes. Rajasthan is prestigious for its awesome accommodation and rich social legacy. There are other numerous delightful sights in Udaipur that offer beautiful perspectives of India’s regal past like Hawelis, fortresses, royal residences, sanctuaries, and many other things. You can enjoy the excellent environment by sitting at the side of a lake and feel the quite cool evenings else taste hot tea in the casual climate of the city. Shimla is the best place to spend some time alone in the lap of Himalayas. It is one of the famous spots in India where tourist mostly visit here on weekends. 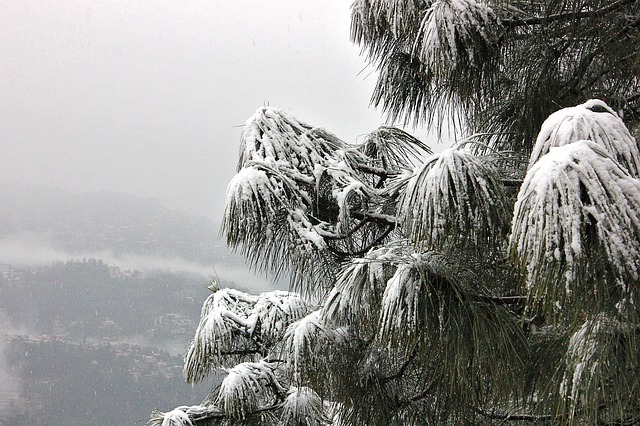 Shimla is famous for its Toy Train, exotic climate and greenery. The toy train passes through the mesmerizing hills and lush green trees where you can feel the essence it has in the air. Kashmir is the best place to explore your solo trip to North India. It is known as the heaven of the earth which makes it’s more special to go. You get the opportunity to encounter paradise when you visit this state where two nations are battling for this paradise. This place is called paradise because wherever you turn your eyes it is secured with smooth white snow. The beauty of frigid peaks, the waterways, the valleys will blow your mind. This place is also known for its excellence of Dal Lake, where you can go for a watercraft ride in Sikara or contract a house pontoon; the Shalimar Garden, the gap e-shahi alongside the rich Mughal Gardens will make feel more special and worth taking the trip. There are numerous more places like Pari-Mahal, Indira Gandhi Tulip Garden which you can also visit. This destination is snuggled in a lap of mountains which is famous for the best ski destination in the world. If you ever visit in Kashmir then must visit this place. There are many other adventures activities that you can do here is camping, hiking and golfing on a leisure trip which offers solo travelers to immense pleasure during the summer season. Presently if anyone is searching for a venture and needs to enjoy some strenuous adventures exercises like mountain biking and high height treks, Leh in Ladakh area at an elevation of 3,500 meters is a brilliant place to choose. 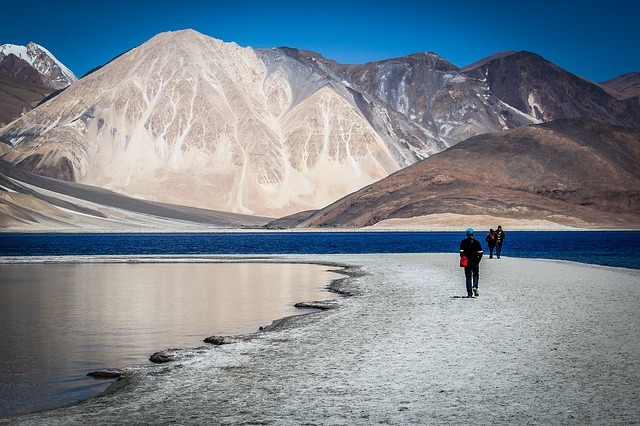 The Pangong Lake, which is a perfect goal for outdoors, is around a 6 hours drive from Leh. Don’t let anything to hold your dreams to explore India alone. Overcome your fear and see the world according to you with your own eyes. So pack your bag and explore in India like never before.